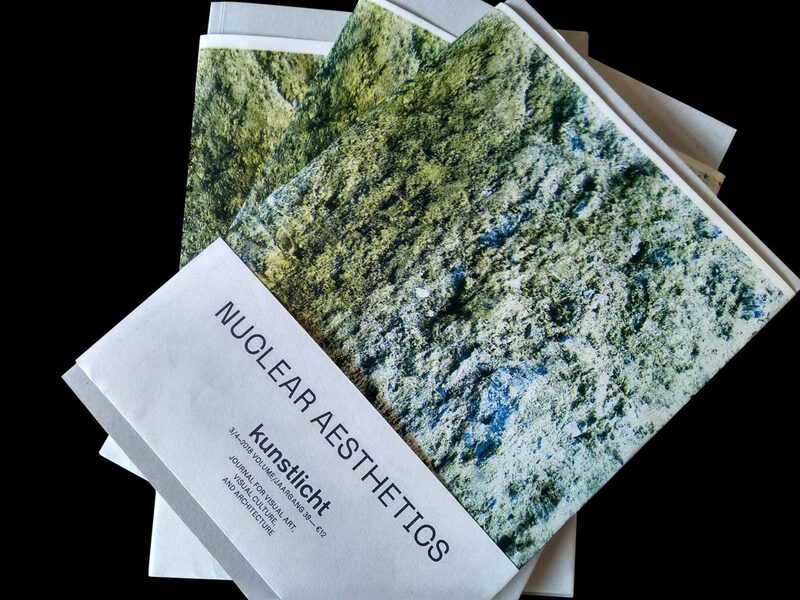 On 16 April, Tijdschrift Kunstlicht will launch their latest issue – Nuclear Aesthetics – at Framer Framed. The programme includes presentations, an installation by Susanne Kriemann, a discussion with Agnes Villette, drinks & more… All welcome! The upcoming issue of Tijdschrift Kunstlicht (the art magazine of the Vrije Universiteit Amsterdam – see website) on Nuclear Aesthetics sets out to explore questions emerging from art in/of the Nuclear Age. What role do art and visual culture assume in a post-Fukushima political climate where the danger of other nuclear accidents, and of nuclear weaponry, remain at sight? Historically, how have artists grappled with the political violence and sensory invisibility of radioactivity? How have aesthetic practices about the nuclear responded to more recent ‘nuclear events’ like the Chernobyl disaster? Spanning different genres, periods and geographical locations, the artistic and academic contributions of this Kunstlicht issue offer an array of perspectives on global nuclear ecologies, from the visual culture of the first atomic tests to the farsighted future of nuclear waste storage. 20:20-20:30 – Short description of Susanne Kriemann’s work which will be on view throughout the night. 20:30-22:00 – Drinks and time to check out the journal and the artwork! Apart from the Kunstlicht journals a series of publications by Susanne Kriemann will be available for sale. A table with publications on nuclear culture and art will be available for the public to browse through.